LodgeiT Individual Tax Return Form (ITR) offers significant automation potential and is guaranteed to save you time. 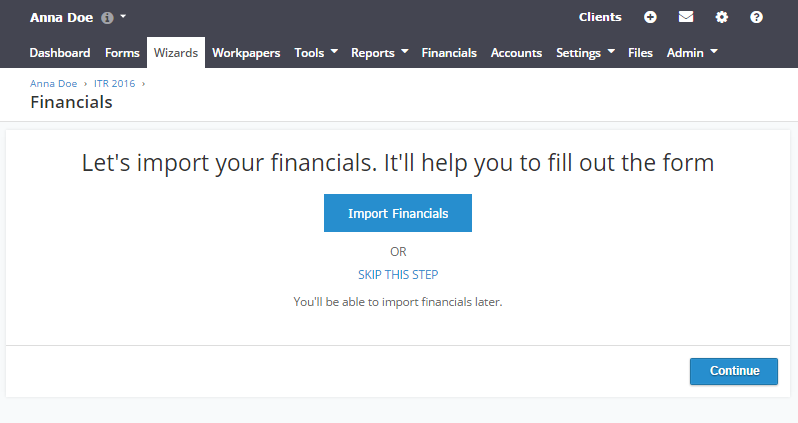 Import Financials dynamically from MYOB, QuickBooks or Xero. 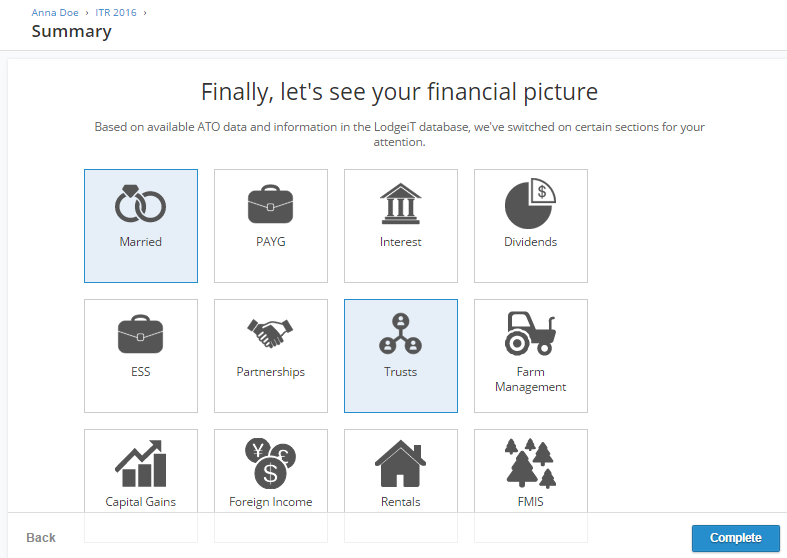 LodgeiT dynamically optimises the sectors of the tax return that you’ll need to work in. 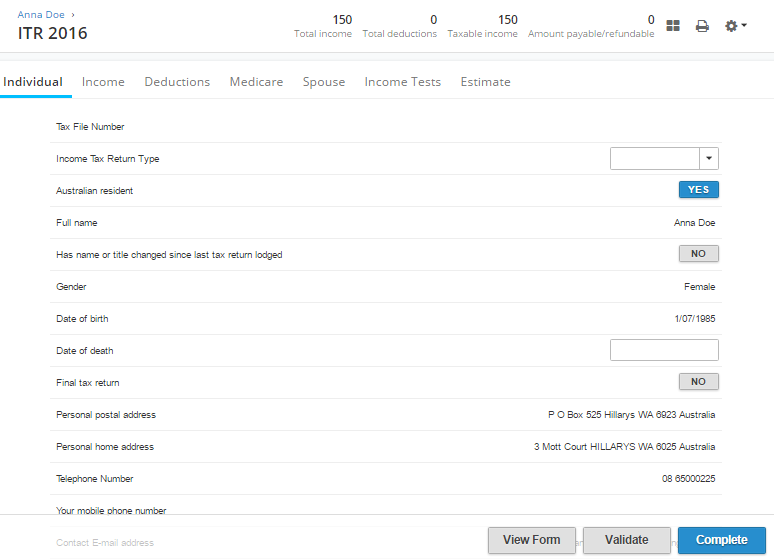 Your Individual Tax Return workspace is now optimised to allow you to work quickly through the form. 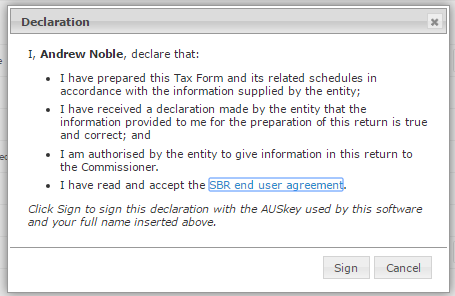 Only deal with the relevant areas of the tax form. ATO Prefill is completely automated. No manual handling of XML files. Review Taxable Income & tax position as you work. Private Health Insurance fills dynamically. 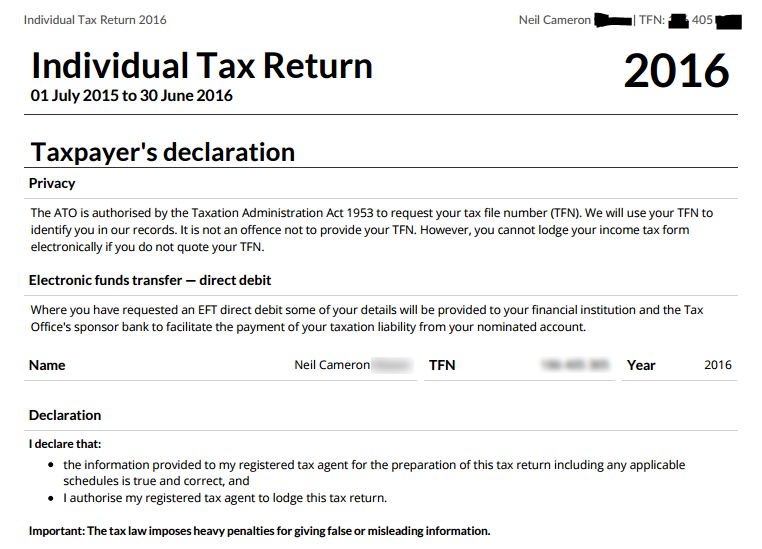 Smart, Individual Tax Return Form to send out for paper or PDF signing. Auto-generated facts like depreciation are injected into the correct places in the form. Partnership Share, Trust Distributions & Company Dividends from associated entities are shared automatically and injected into the right sections of the form.